Macy is a Toronto-based Wealth Advisor with RBC Dominion Securities, focusing on helping her clients achieve their retirement, investment and estate planning goals. Visit Macy’s Website. Canadian snowbirds have unique financial needs - which makes smart financial planning a must for those who want to enjoy the snowbird lifestyle. Spending your winters outside Canada doesn’t come cheap, and large currency fluctuations between the Canadian and U.S. dollars can seriously hinder your ability to travel and live outside Canada. The good news is that implementing proper financial planning strategies can usually help you achieve your goal of spending winters in the sun instead of the snow. To help get you started, consider these important snowbird financial planning tips and speak to your financial advisor. Many Canadian snowbirds were caught off guard when the Loonie declined dramatically against the U.S. dollar in 2014 and 2015. This drop in the Canadian dollar significantly increased the cost of living outside Canada for the winter, forcing many snowbirds to shorten their trips, curtail their spending while away or reconsider escaping the cold all together. To provide some stability and help insulate you from currency fluctuations like this, it is a good idea for Canadian Snowbirds to have U.S. dollar investments in your portfolio. How much of your portfolio should be in U.S. dollar investments will depend on your unique situation. A good place to start is by estimating how many years you will be spending your winters outside Canada and how much money – in U.S. dollars – you will need to support your snowbird lifestyle each year. Share this information with your financial advisor so he or she can come up with a plan for how much of your portfolio should be in U.S. dollars to meet your goals. If you want to invest in Canadian stocks that also trade on a U.S. stock exchange, consider purchasing them on the U.S. exchange to avoid foreign exchange fluctuations. Keep in mind that while many investors focus solely on the returns of their portfolios, for snowbirds it is equally, if not more, important to focus on insulating your investments from unpredictable currency fluctuations. While it’s tempting to try to time converting your Canadian dollars and investments to U.S. currency, this is a dangerous game that is best avoided. Even the most seasoned professional currency traders are often wrong about which direction the Canadian dollar is headed, and making a mistake could completely derail your warm-weather retirement plans. Remember, your ultimate goal should be a long-term strategy that allows you to have enough U.S. cash and investments to support your snowbird lifestyle, not risky short-term currency plays that try to squeeze every last dollar out of your investments. The only time you may want to reconsider this strategy and load up on U.S. dollars is when the Canadian dollar is close to par with the U.S. dollar, allowing you to lock in long-term certainty at a preferential rate. If you know that your retirement plan includes spending your winters outside Canada, it’s best to speak with your financial advisor as early as possible. Sharing your snowbird travel goals and financial needs early will allow your advisor to create projections for you and implement a long-term strategy that can help you achieve your objectives. Your financial advisor can also provide a reality check by letting you know if your goals are realistic based on your financial situation and help you revise your retirement plan accordingly. 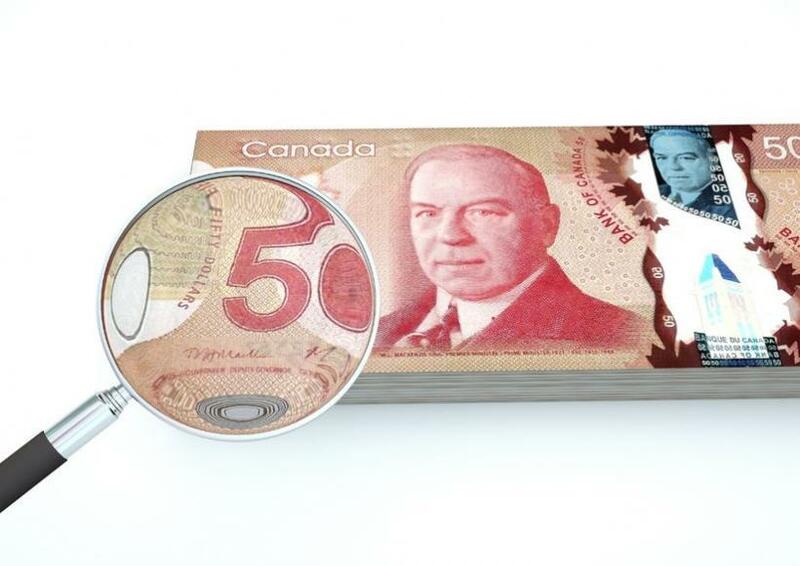 By default, all withdrawals from your Registered Retirement Investment Fund (RRIF) are in Canadian dollars, which means any U.S. cash/investments you withdraw from your RRIF would normally need to be converted to Canadian dollars and subject to a foreign exchange fee. To make matters worse, if you wanted to convert those proceeds back into U.S. dollars, you would have to do so outside your RRIF and incur another foreign exchange fee. However, some financial institutions allow you to make RRIF withdrawals in U.S. dollars, allowing you to avoid currency conversion fees all together. Ask your investment advisor to see if this option is available from your financial institution. Consider keeping this money in a U.S.-dollar interest bearing account so it can earn interest for you. Ask your financial advisor about options. As a Canadian snowbird, it’s also important to be aware that you may be subject to U.S. tax reporting and filing requirements or paying U.S. income tax or estate tax if you pass away. These situations can arise if you own or earn income from a U.S. property, own U.S. investments that exceed certain thresholds or you or your beneficiaries have any ties to the United States. It’s always a good idea to review your financial situation with your tax, legal and investment advisors so they can advise you on whether any of these requirements apply to you, what the potential consequences are and how you should plan your affairs accordingly. Planning your finances and investments to allow you to enjoy the snowbird lifestyle can be complicated, but it is achievable by making sure you are well informed, seeking out good advice and implementing the right strategies. This article is supplied by Macy Fine, a Wealth Advisor with RBC Dominion Securities Inc. (Member–Canadian Investor Protection Fund). This article is for information purposes only. Please consult with a professional advisor before taking any action based on information in this article. Macy Fine can be reached at macy.fine@rbc.com or 416-733-1452.